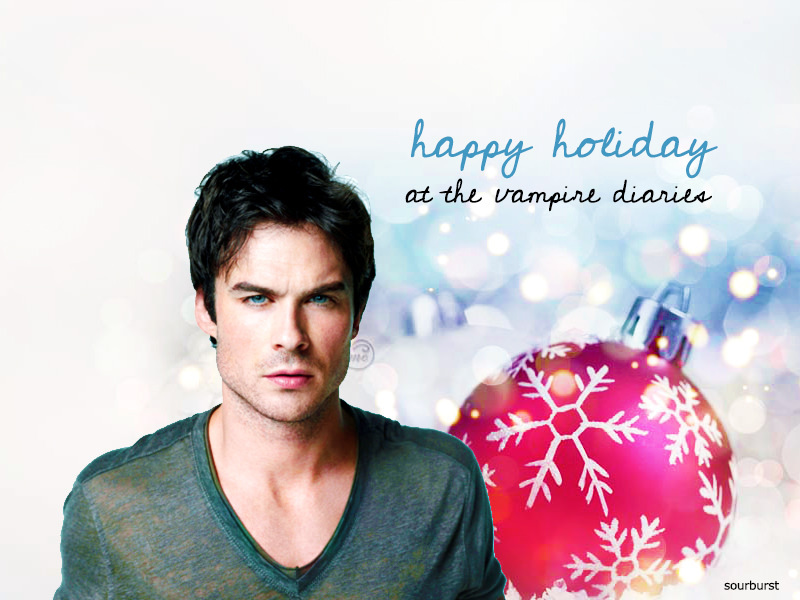 Get into the holiday spirit! Work together, and show us what your board can do! 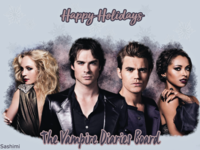 Create holiday themed artwork on the topic of all your favorite tv shows, celebrities and movies to submit for the competition. 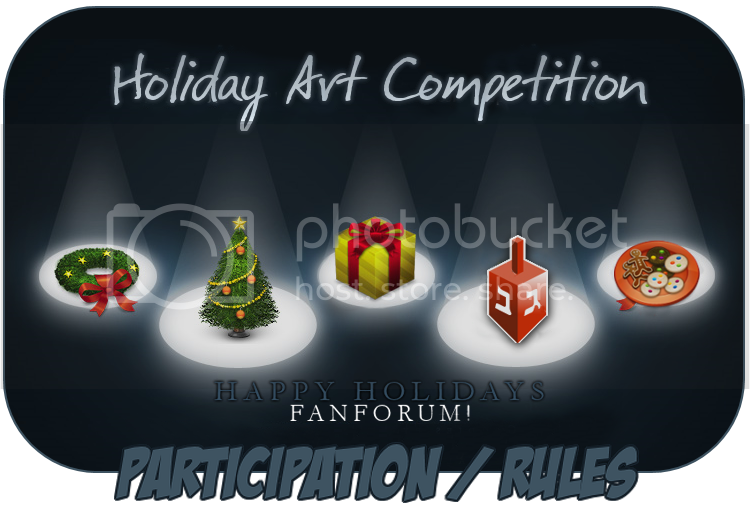 We are holding the annual Holiday Fan Art competition again this year and we're happy to announce that this board has signed up to participate. 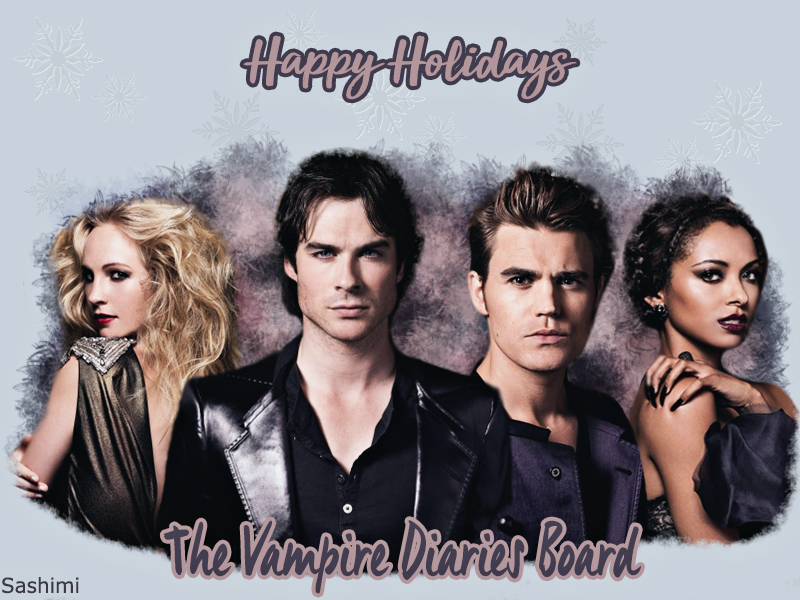 For rules, information, a list of all of the boards that are participating, and a place to ask any questions, please visit this thread on the Info Center board. The art must be holiday themed and have the board name clear anywhere on the artwork. You are free to use any technique (brushes, textures etc...). For help and tutorials, the Fan Art board is a great place to find it. The artwork you submit must be exactly one of the following 3 sizes in pixels and in JPEG format; 400x300, 800x600, or 1024x768. Art should include your username on the bottom left of all artwork in Verdana, font size 12. You will have to include a separate 200x150px thumbnail in JPEG format (please include the whole image in your thumbnail) along with your art to be used in the voting. Please do not add a border to the thumbnail. Final submissions should be a separate post in the thread marked with the words "to submit it for the competition" in red. This way, we will know that it is the final version of the art you would like to submit. It will be linked on the beginning post of the thread, updated frequently. If you do not see your art on that post a few days after you post it, please PM running wild. You may submit no more than 1 art per board. You may most certainly make more than one for each board and post it on the thread for people to see, however you may only submit one for the competition per board. There is no limit to how many boards you can submit an art for. COMPETITION DEADLINE IS DECEMBER 21ST AT 6 PM EST. If you have any submissions for this board, please make sure that you follow all of the rules (listed above) and post your entries on this thread. This is so exciting . Can't wait to see what we get! I'm sure we will get some good ones! Yay! Can't wait to see what you come up with, Sarah! Looking forward to seeing the creativity of fans. I'm so happy and excited! !